Whitworth University will host acclaimed clarinetist and composer James Falzone for a master class and music recital on Feb. 6 in Whitworth’s Music Building Recital Hall. The master class will begin at 4 p.m., and the recital will be held at 8 p.m. The public is invited to attend both events, which are free. For more information, please contact Whitworth’s music department at 509.777.4847 or music@whitworth.edu. 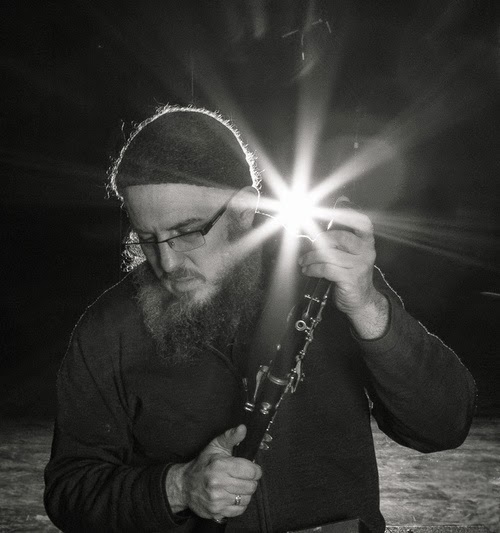 Falzone is a member of Chicago’s jazz and creative improvised music scene, and a veteran contemporary music lecturer and clinician. He has served as the longtime director of music for Grace Chicago Church, and he is an award-winning composer who has been commissioned by chamber ensembles, choirs and symphony orchestras around the globe. He leads three of his own ensembles: KLANG, The Renga Ensemble, and Allos Musica, and he has released 80 highly regarded recordings from Allos Documents, a label he founded in 2000. Falzone has performed in recital halls, festivals and jazz venues throughout North America and Europe; he appears regularly on Downbeat magazine’s critics’ and readers’ polls; and he was nominated as the 2011 Clarinetist of the Year by the Jazz Journalist Association. His work has been featured in The New York Times, the Chicago Tribune, New Music Box, Point of Departure, and many other publications. Educated at Northern Illinois University and New England Conservatory, Falzone is a respected educator: He is a senior lecturer at Columbia College Chicago, where he teaches in the interdisciplinary first-year seminar program, and he is a research fellow at The Center for Black Music Research. Falzone has also been on the faculty of Deep Springs College and North Central College. Learn more about Falzone at his website, www.allosmusica.org.